The All Progressives Congress (APC) in Rivers State is currently mired in fresh conflict between proponents of direct or indirect primaries. A little over three years after APC lost election in Rivers State to the ruling Peoples Democratic Party, the party has remained fractured due to the tussle between the Minister of Transportation, Chibuike Amaechi and Senator Magnus Abe factions. While the pro-Amaechi state executive committee, led by Ojukaye Flag-Amachree adopted the indirect primary mode, the pro-Abe executive, led by Peter Odike, is insisting on direct primaries. Amid the ongoing haggling over the mode of primaries to adopt, at least four candidates: Dumo Lulu-Briggs, Tonye Cole, Senator Magnus Abe and Dr. Dewari George are contending to become the party’s torchbearer in the 2019 general elections. While the party was still reeling under earlier tremors from endorsement of Mr. Cole by Amaechi, a move, which some observers think has precipitated a deeper crack in the party, the Flag-Amachree faction announced it was going to adopt indirect primaries. Flag-Amachree hinged the decision by his executive on issues of insecurity in the state and lack of membership database of all APC members in the state, despite recently conducting Ward, Local Government and State congresses that are now subjects of litigation. Similarly, the lawmaker representing Rivers East senatorial district, Senator Andrew Uchendu, claimed that the prevailing security situation in Rivers State would make it impossible to assemble more than one million together in one place. Evidence that the APC is so deeply divided, that it will have a difficult time uniting for the primaries, emerged afterwards, as those opposed to indirect primaries declared that they would organise direct primaries in the state. Their bone of contention is that there had be a deliberate systemic attempt to alienate substantial segments of the party that supports Abe’s governorship aspiration. According to them, the endorsement of Cole by Amaechi is a signal of how the indirect primary will go. The pro-Abe state executive committee, led by Peter Odike, at the end of its meeting last week, stated that it was completely in alignment with the party’s National Executive Committee decision to entrench internal and participatory democracy in the party, through approval of the use of direct primaries as the mode of selecting candidates for elections. 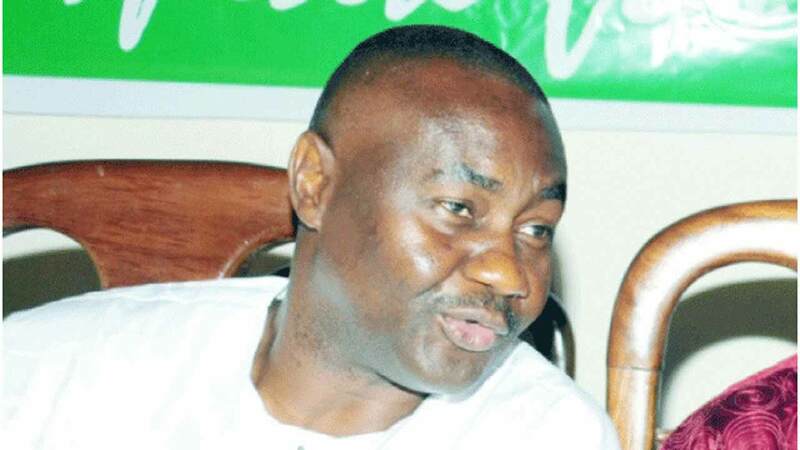 Senator Abe also declared that Rivers is one of those states, where the APC cannot have indirect primaries. He asserted that the party’s entire structure in the state is embroiled in legal controversy with about four or five court cases. “So, if indirect primaries was to be adopted, which particular list of delegates will be used and for which particular congress,” he queried. “They say where you stand on an issue depends on where you sit. What you call indirect primaries is a situation where known party members meet in a place to elect candidates. These known party members are invariably part of an already organised structure. So, when people have control of such structure, the entire exercise is predetermined, because they already know whom they are going to elect,” he said. Abe further argued that indirect primaries is very vulnerable to financial inducement, as the delegates are known and an aspirant can easily target a particular number of people as those he needs to service in order to get nominated. 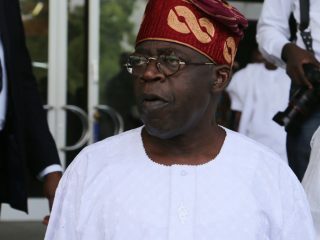 “No matter the argument one may have or may not have, I believe that as far as Nigerian democracy is concerned, the days of indirect primaries are fast drawing to a close,” he added. Irrespective of the endorsement of Mr. Cole, political observers in the state think that Abe’s decision to seek APC’s nomination without the backing of a political godfather seems to mark the beginning of an era, when mavericks and party leaders in their right are beginning to assert themselves. One of the prospective governorship candidate, Lulu-Briggs, has dismissed insinuations in political circles that he has conceded and withdrawn from the 2019 governorship race. He said for the avoidance of doubt, he remains fully prepared, ready, willing and able to seek office of governor of Rivers State in 2019 under the APC. In order to whittle down Senator Abe’s momentum and appease his Ogoni’s kinsmen, The Guardian gathered that the Deputy National Secretary, Victor Giadom, who hails from the same town as Abe might become Tonye Cole’s running mate, if he picks the ticket. But the Movement for the Survival of the Ogoni People (MOSOP) has urged APC and PDP to offer their governorship tickets to an Ogoni candidate. MOSOP President, Legborsi Saro Pyagbara, asserted that 51 years after the creation of Rivers State and 28 years after the launch of Ogoni Bill of Rights (OBR), the Ogoni continue to be thoroughly marginalised in Rivers State’s political affairs. Pyagbara further contended that it was an incontrovertible fact that there cannot be effective participation in a true democracy without corresponding adequate representation at levels of authority and governance. He asserted that the continual denial of the Ogoni people’s representation at these levels smacks of discrimination, injustice, and political impunity and is antithetical to practice of genuine and inclusive democracy. He maintained that MOSOP agitation is situated within the context of two fundamental variables. First, the campaign principally is to promote ethnic justice. He pointed out that amongst the three ethnic blocks that presently constitute Rivers State, Ogoni is the only ethnic block that has not had opportunity of producing a governor, deputy governor, Speaker of the state House of Assembly or Chief Judge. He stated that MOSOP was aware that the two major political parties operating in the country believe in rotation and the Federal character principle. He urged the political parties to erect the scaffold of political justice for Ogoni people by supporting the quest for an Ogoni man to emerge as the flag bearer of any of the parties for governorship position, particularly the APC and PDP. Considering the opposing and irreconcilable positions threatening to tear APC apart, a political analyst and rights activist, Dr. Omenazu Jackson, warned political parties to desist from this model of elite-driven candidate selection under the guise of indirect primaries. Richard Wokocha, Associate professor of law at the Rivers State University, said any man who claims direct primaries is wrong will have an uphill task explaining why it is so. He emphasised that if everyone agrees that the very essence of democracy is to make a choice, and that it is right for party members to choose who represents them, then that result cannot be got through indirect primaries. “Indirect primaries leads to indirect democracy, and indirect democracy is anything but democracy because democracy is about the people choosing, and so any process that guarantees somebody choosing for the people is not democracy,” he said. 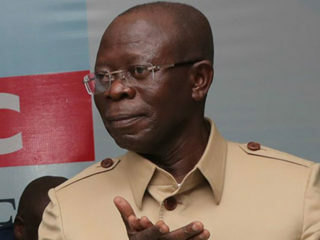 While APC gladiators are grappling to sort out their differences, Wokocha suggested that for the party to avert bitter nomination contest, it should adopt direct primaries, as it will give members a sense of ownership of the process. According to him, when members choose their representatives and they become leaders, government policies will be tailored to satisfying the people’s aspiration and expectations. “It does not matter which camp you belong, throw the question to the owners of the process and the owners of the party. The party is owned by the owners. Throw the decision to the owners, and whomever the people choose is not open to question. 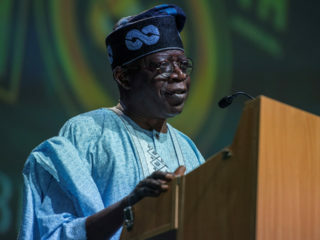 That is why there has been less disputation in Osun State after the primaries than in other states, where indirect primaries has been adopted and the party will work together and no one can say he/she is not happy with the people’s choice,” he said. 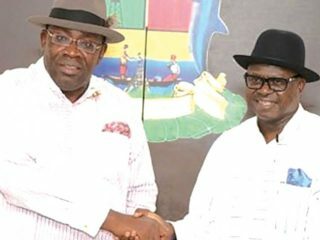 A social commentator, Azubuike Nathan, told The Guardian that the unfolding, intriguing politics and glaring intra-party conflicts on display in Rivers State has left many concerned that APC is on the cusp of a breakup that could cut its influence and help Governor Nyesom Wike retain his position in 2019.